Project Denneler: Vote for Bea! Last week, I signed Bea up for the Favorite Face Contest – a fundraiser for the Leukemia and Lymphoma Society, sponsored by Rylee & Reece and Lisa Hardin Portait Design. Lisa is an amazingly talented photographer in Wichita. 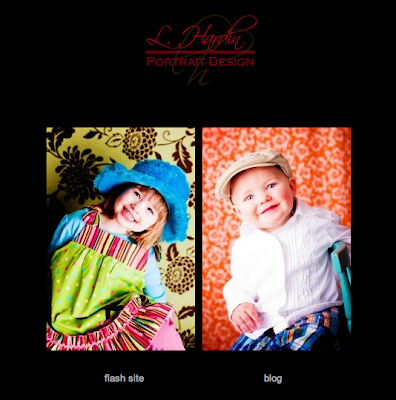 And I was shocked to see Miss Bea's smiling face on the homepage of Lisa's website today! What amazes me most, is the fact that Lisa was able to get any kind of photo at all that wasn't a complete blur. Bea was a crazy, Tasmanian devil that day and wouldn't sit still for anything. I know exactly the moment when this picture was taken – they gave her an orange M&M and she stopped jumping on the couch for two seconds to smile and chew it up. Whew. So if you live in Wichita, head to Rylee & Reece on 29th & Rock Road, and vote for Bea, March 10-17th ! (They have the cutest clothes, by the way.) The winner of the Favorite Face Contest gets a gift certificate and a family photo session. Although, I don't know if Lisa can handle another shoot with Bea. She should win an award for Most Patient Photographer.